Tim Holtz Idea-ology WISHBONES TH93071 at Simon Says STAMP! TH93071 /0.8 This item is on reserve until If you would like to reserve this item now, you may purchase it now with the rest of your order. We will hold your order now and ship your entire order as soon as this item is back into stock. If you would like your order to ship now, please place this item on a separate order. 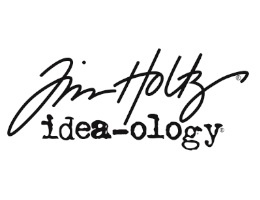 Success, Tim Holtz Idea-ology WISHBONES TH93071 has been shared! They are little resin wishbones – in fact a whole bottle of wishes (they come in this little bottle too). You might be thinking what would you use those for? Well how about on a project for best wishes, wish you were here, or just make a wish – heck you could use the whole jar of them in a configurations. This package contains a 2 inch tall vial with fifteen wishbones. Wishbones measure approximately 1 x .625 inch each.